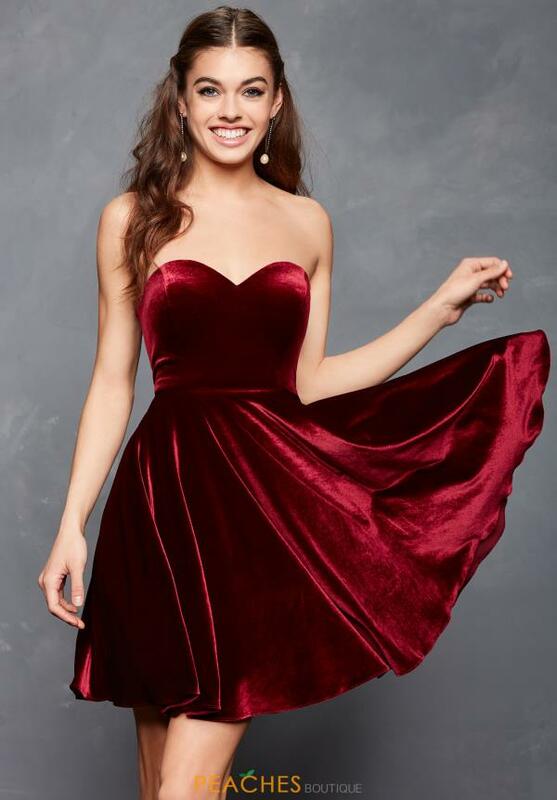 Chic velvet homecoming dress 3652 by Clarisse is sure to steal your heart! The sweetheart strapless neckline along the A-line silhouette offers you a flattering cut. Rich velvet material makes up the ensemble, giving you a beautiful sheen. You can pair up the perfect accessories and shoes to this look at Peaches Boutique in Chicago.